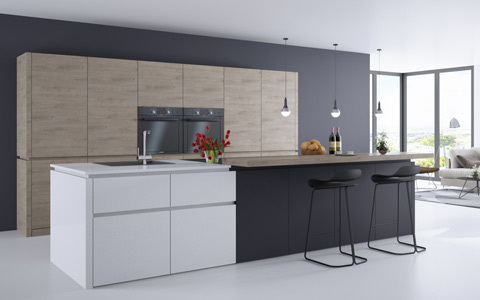 Here at Two Tone kitchens we offer the most comprehensive collection of made to measure vinyl wrapped doors on the market. Our vinyl kitchen door range offers an extensive choice of both contemporary and traditional door styles. 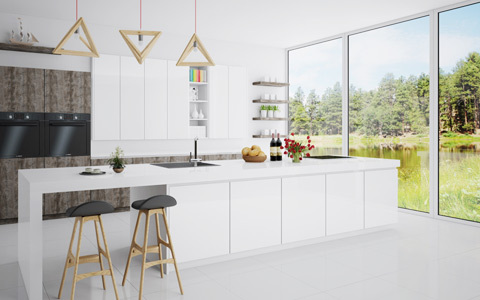 Complementing this extensive range of styles, our vinly kitchen doors collection also offers an impressive selection of the most popular and very latest colours and decor textures available. Add to this the made to measure service element and you have the ultimate flexibility for creating your perfect kitchen. Buy our vinyl kitchen doors online and have them delivered to your address in 10 days. 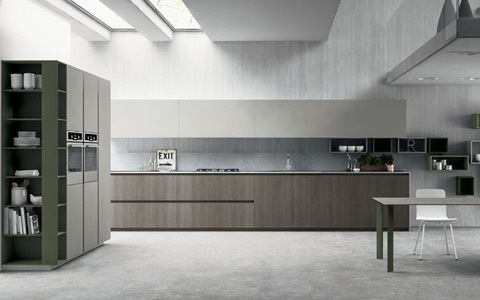 Our vinyl kitchens doors collection consists of over 61 kitchen door designs in several different finishes. 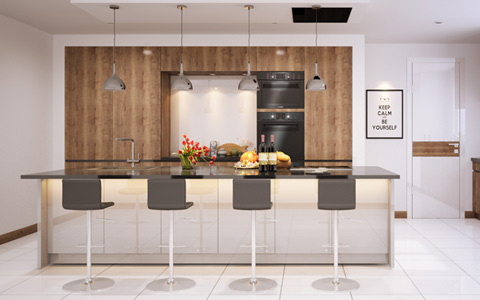 Our high gloss vinyl kitchen door collection consists of 16 designs made out of solid and woodgrain decors. Subtle and pastel matt vinyl kitchen door collection consisting of 12 warm designs. 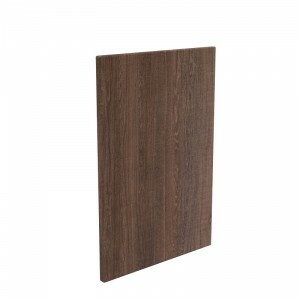 Wood is beautiful and our vinyl kitchen door collection consists of 19 unique wood designs. Visible wood grain or painted wood grain makes our vinyl kitchen doors collection unique and natural. View our four best selling high gloss vinyl kitchen doors. 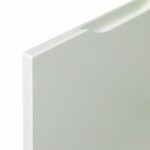 View our four best selling matt vinyl kitchen doors. 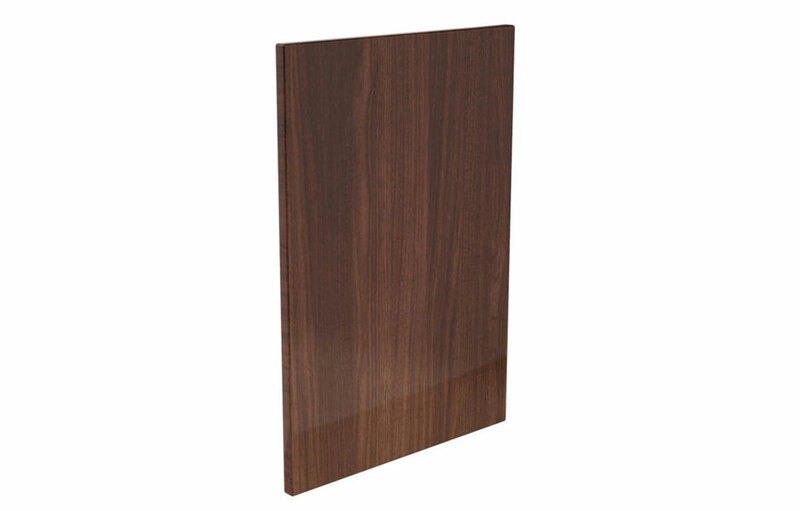 View our four best selling woodgrain vinyl kitchen doors. 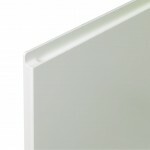 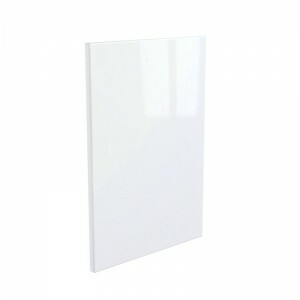 View our four best selling textured vinyl kitchen doors. 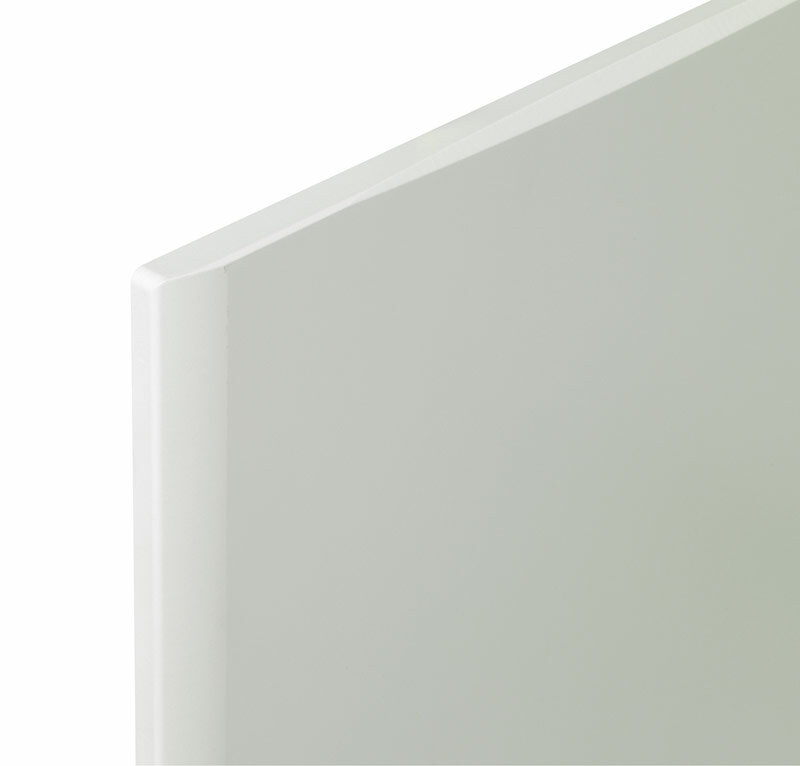 Available in 53 door variations. 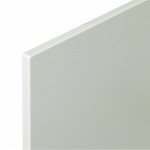 View some of our best selling door styles on the images below. 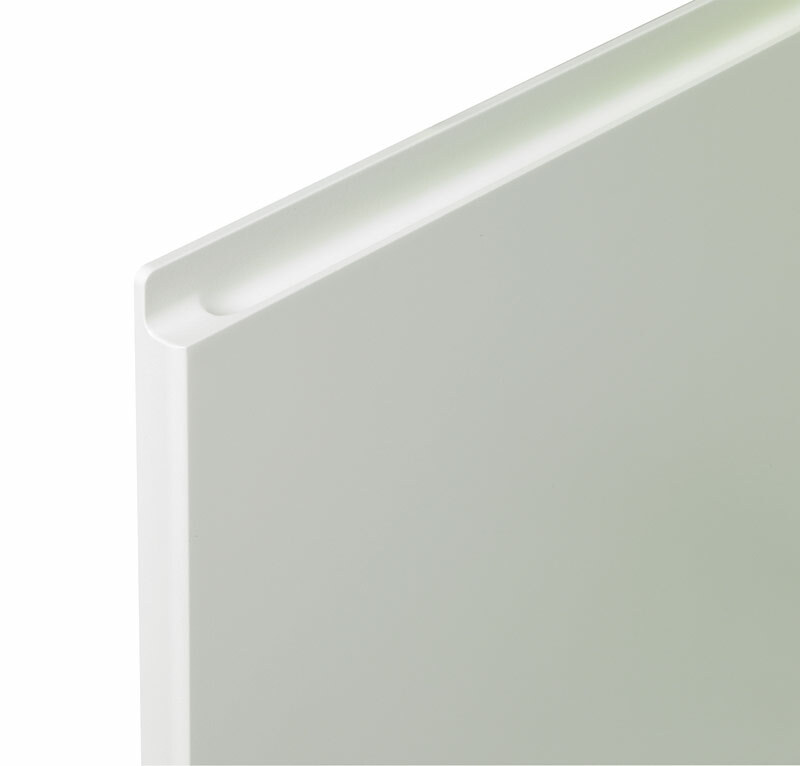 Our vinyl wrapped doors, drawer fronts and accessories are manufactured from 18mm one sided melamine faced MDF (Brentford and Gallio styles are manufactured from 22mm thick MDF). 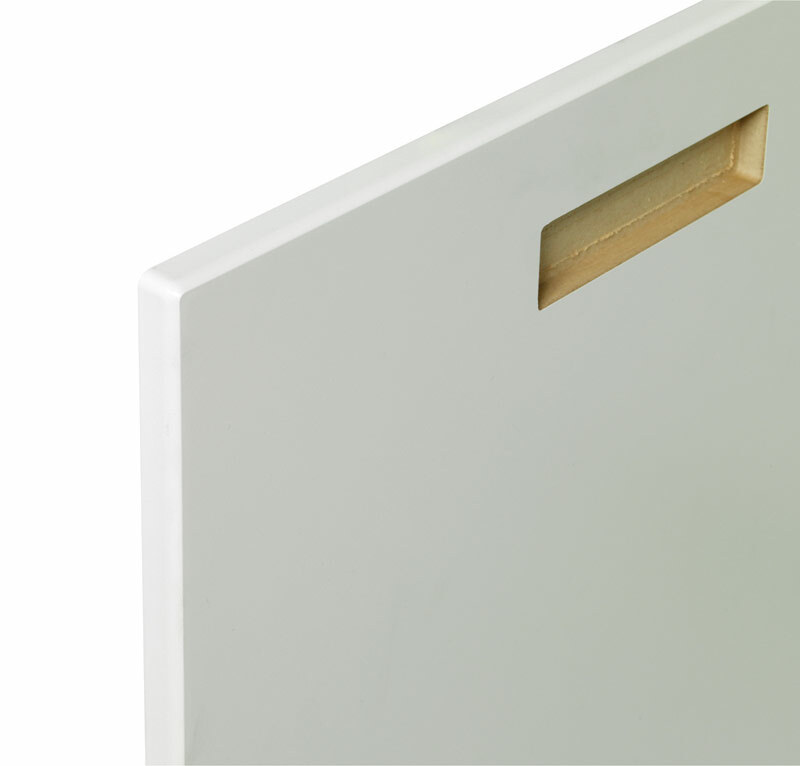 Our vinyl doors are manufactured using FSC sourced MDF and are PEFC chain of custody certified. 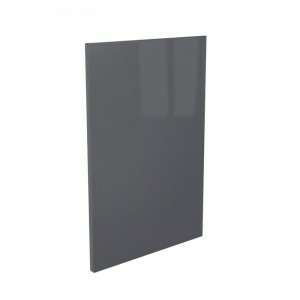 The standard matt foils are a 0.4mm thick foil membrane, with the gloss foils being a 0.5mm thick membrane. 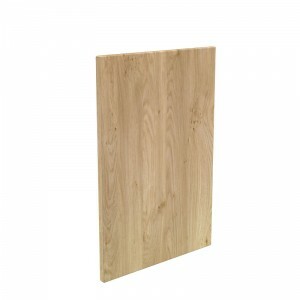 Available in Made to Measure Sizes and ready for dispatch in 5-10 working days.